The opportunity arises from the union of this insight with the needs of consumers, and WholeFoods is able to meet this consumer’s wish in a creative way. “Take a picture of your plate of food, and upload it to your profile.” Automatically, your dishes will become recipes, which you can share with your contacts. If you like a dish, with just one click you can order it through the WholeFoods page. The user opens the WholeFoods app and takes a picture of the food that is in front of him. Then he is asked “what are you eating?” and the user types the name of the dish (example: Spaghetti with frutti di mare). 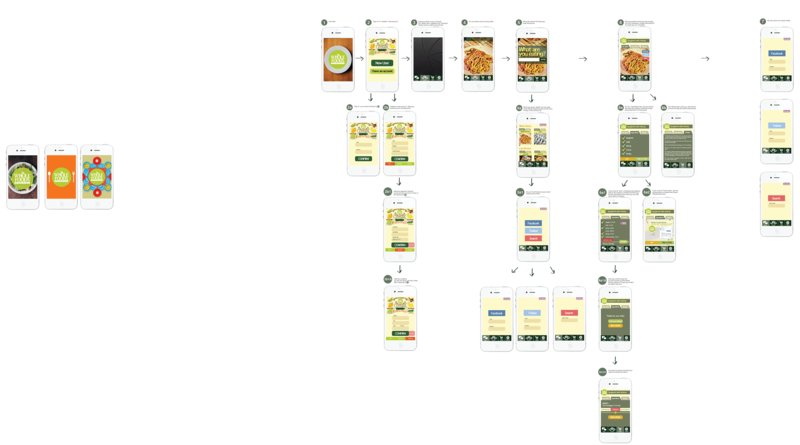 The app connects to the WholeFoods platform which has millions of recipes related to what has been written. Select one (describing below) and it offers the option, via tabs, to buy the ingredients for that recipe. Users can even add or remove other items that they have at home. Once selected, confirm the order and the items will be delivered to the user’s home in a few hours, or if there is a WholeFoods nearby, users can pick up the items at any time. The app allows for order tracking, and users may contact the seller. You can follow your friends or people you want on your account, and the recipes become part of their profiles. Besides connecting to the most popular social networks, you can share in the corresponding platforms.